Intel seems to be of the opinion that desktop computing needs to evolve by using smaller form factors for basic systems. 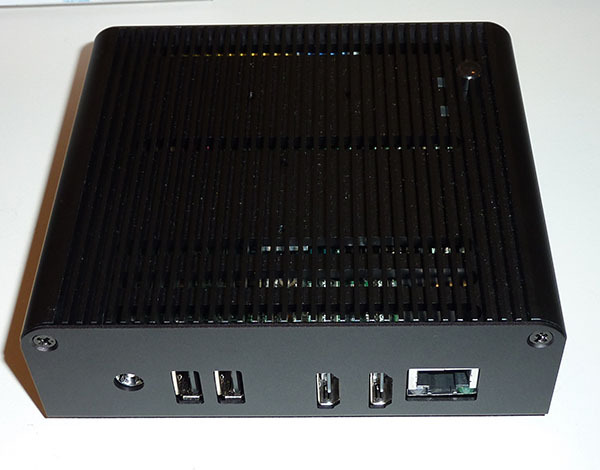 Its version of small is the NUC, which we reviewed last year in very much barebones form. Intel's pre-packaged version uses a plastic chassis with an active fan in situ, but we believe the design can be bettered in terms of aesthetics and appeal. Intel, therefore, has partnered with SilverStone and requested the firm design and build a better enclosure. 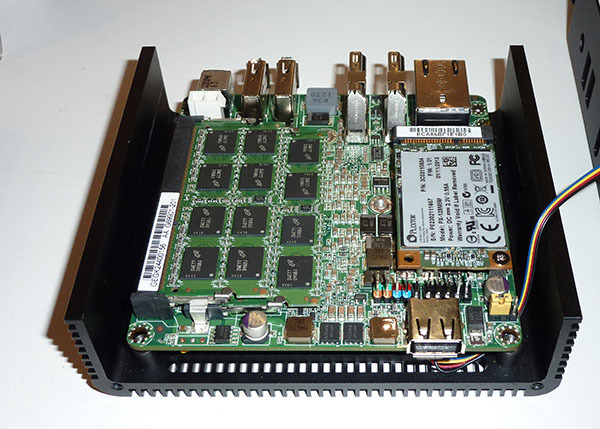 The sum of the company's efforts is the PT14 NUC, pictured below. The unit is marginally smaller than Intel's plastic chassis but is much better built, feeling robust and free from squeak or rattle. 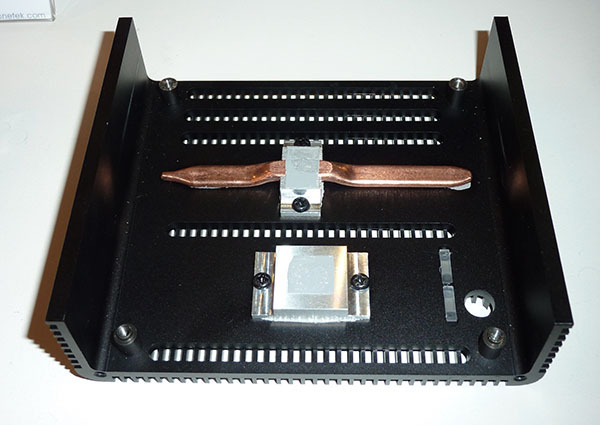 The aluminium casing and small vents act as a large heatsink as well as an enclosure. Here's the standard 4in-by-4in NUC PCB fitted inside. The top portion of the PT14 shows that the two NUC chips are physically linked to the chassis by way of heatsink and heatpipe. SilverStone says that cooling potential of its enclosure is good enough for the NUC to run without active cooling, though the chassis, by doing its heat-wicking job, does become very warm to the touch. 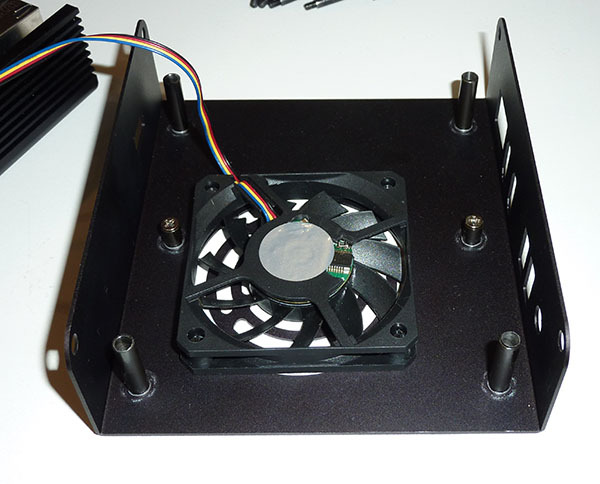 As a precaution, then, the unit has an optional 60mm fan at the bottom, PWM-controlled, that is said to be near-inaudible when in use. The bottom portion of the PT14 screws in through the NUC PCB and into the top segment easily enough. Silverstone reckons that using its enclosure instead of the Intel version will add around $50 to the overall price. No firm word on availability, but chances are that it will be in stores by the end of April. Very nice. NUC still a bit overpriced given you have to add memory and a MSata card but I still want one as a home server running Windows Server.